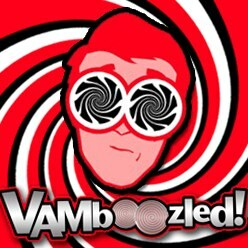 The Obama Administration’s (Smoke and Mirrors) Calls for “Less Testing” | VAMboozled! This entry was posted in High-Stakes Tests and tagged Consumer Alert!, High Stakes, States, Tests, US Dept of Education by Audrey Amrein-Beardsley. Bookmark the permalink. The smoke and mirrors that you mention here might actually constitute an even bigger deception than we originally thought. I just gave the Council of Great City Schools’ report a closer read (http://www.cgcs.org/cms/lib/DC00001581/Centricity/Domain/4/Testing%20Report.pdf). Pay particular attention to the bottom half of page 28, where it tells us that the 2.34 percent of total instructional time was calculated based on the the amount of testing in EIGHTH grade (the most heavily tested grade level). While it is true that the proposed 2% cap on testing would reduce the time that eighth graders spend taking tests by 14.6%, it would prompt a reduction of LESS THAN TEN PERCENT in the other grade levels from 4th through 11th. The proposed 2% limit would also allow testing to INCREASE for seniors and for students in Pre-K through grade 3. In fact, testing for Kindergartners and first graders would be allowed to double before the limit was hit, and Pre-K testing could increase nearly five-fold before the limits became an issue. Personally, I loved the US News & World Report article that you linked to, above. Robert Pondiscio gives a really salient example to illustrate that it’s not so much the amount of testing, but how the results are used that makes the difference. Even only five minutes per year of extraordinarily high-stakes testing could have far-reaching detrimental effects on teaching and learning, while hours upon hours spent on meaningful, informative, constructive assessment to which no stakes are attached, might prove to be very beneficial. Like any great magician, it seems as though the performers involved in this debate are trying really hard to get us all to focus somewhere else; ANYWHERE else, it seems, than where we SHOULD be looking.